Signing a contract with the U.S. Department of Education doesn't appear to mean much. College students who agreed to work as teachers in high-need schools have learned that the grants they received can be taken away for no reason. And now 550,000 people who took public service jobs with the promise that their student debt would be reduced after 10 years are learning that may not be true either. Both cases of apparent betrayal involve something called FedLoan Servicing, a secretive, semi-public agency tied in some way to the Pennsylvania state government. FedLoan has never commented on the problems, referring ConsumerAffairs' questions to the Education Department, which also failed to respond to numerous inquiries. In the case of public service workers, the Education Department said in a legal filing last week that letters from FedLoan saying the recipients qualified for the debt forgiveness may have been mistaken and should not be considered binding, the New York Times reported. The waffling comes to light just as the first participants are reaching the end of their 10-year commitment. For someone who has worked away in a drab, dingy government office at a salary less than they might have received in the private sector, being betrayed by their government may be a bitter pill to swallow. It is similar to the recipients of so-called Teach Grants. They agreed while in college to teach in a high-need school in exchange for grants of about $4,000. But because of minor clerical errors, many of the grants have been converted by FedLoan into delinquent debt, complete with penalties and interest, a situation one teacher called "legalized theft." The public employment benefit is nothing new. It was authorized by Congress in 2007 in a bipartisan bill that enjoyed wide support. It was intended to encourage college graduates to take jobs as public school employees, doctors in public hospitals, police officers, firefighters, and other public-service positions. 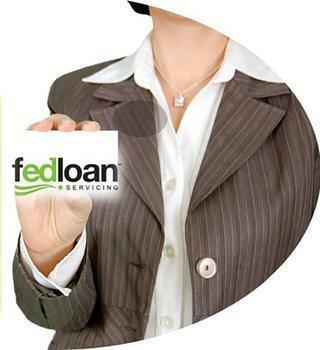 To get the benefit, graduates submit a form to FedLoan, which then either approves or disapproves the application. The graduates must then make loan payments for 10 years. At the end of that term, the remaining balance is supposed to be forgiven. Now, four such graduates who recently were told that FedLoan had approved their applications in error have sued the Education Department, which last week said in a response that FedLoan's decisions are not official and can't be trusted, the Times reported. One of the plaintiffs, Jamie Rudert, graduated from law schools owing $135,000. He took a job with Vietnam Veterans of America and FedLoan approved his application in 2012, only to tell Rudert recently that that his application should never have been approved. He was given no opportunity to appeal. The case may be more far-reaching than it appears. Rudert initially complained to the Consumer Financial Protection Bureau, which looked into the matter and came up with an estimate that 25 percent of the country's work force may qualify for the benefit, even though only about 550,000 people have applied for it.